Wow, those are some big shoes to fill! That is impressive. I remember when Patrick first made this dish in the old house on Lincoln dr (?). Kudos, Pat. 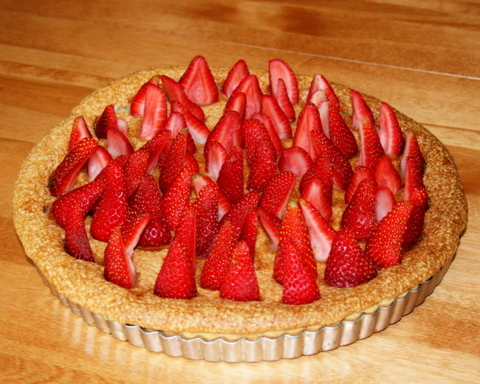 However, I would probably make sure all the sliced ends of the strawberries are facing the same way when preparing for the next culinary photo shoot. But that's just me. Oh, and another thing.....the Beans are to prevent the pastry from bubbling when you prebake the crust. That's called "Blind Baking." Sorry to be an insufferable know-it-all.